I’m not going to change a thing. I think the Packers ride home field advantage to another Super Bowl, where Aaron Rodgers wins the game’s MVP again as the Packers win back-to-back Super Bowls for the second time in their history. 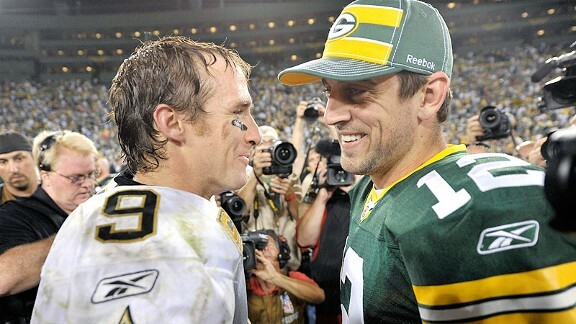 You really can’t go wrong picking Rodgers or Drew Brees as the league’s MVP. They both had outstanding seasons, two of the best season-long performances in NFL history. You really have to nit pick to choose one over the other. In the end, I went with Rodgers because he threw less interceptions and won two more games, including the head-to-head match-up between the two quarterbacks way back on the season’s opening Thursday. Rodgers’ 44-6 TD-to-INT ratio was just out of this world good. I hedged my bets by picking Brees as the offensive player of the year. Brees put up tremendous numbers, breaking Dan Marino’s record for passing yards in a season and his own record for completion percentage. Another tough call here. I ended up going with Suggs because his numbers, 14 sacks and 7 forced fumbles, were too great to ignore. 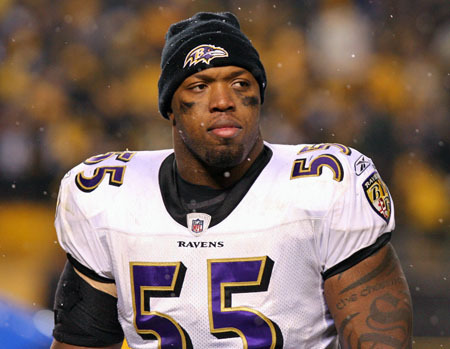 T-Sizzle made big play after big play this season, helping the Ravens to 12-4 record and AFC North division crown. 49ers’ lineman Justin Smith was also phenomenal this season, and was a big reason why the Niners had so much success his season. He would also be a deserving winner of this award. This was a no-brainer. Newton had one of the best rookie seasons of all time. Newton has out of this world talent. 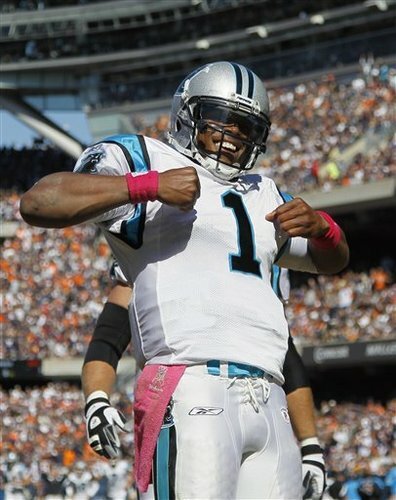 I’m not sure there has ever been a quarterback with as much potential as Newton. Another really tough call here, this time between Miler and 49ers’ linebacker Aldon Smith. In the end, I went with Miller because he was the best player on a playoff team (be it as it may, an 8-8 playoff team). 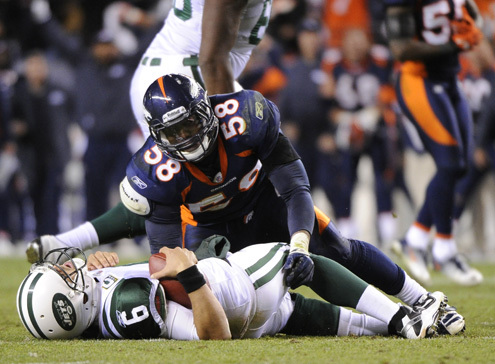 Tebow gets all the pub, but Von Miller was outstanding this season. Without Miller, the Broncos are likely out of the playoffs. As confetti rained down the field at Cowboys Stadium after the Green Bay Packers defeated the Pittsburgh Steelers 31-25 in Super Bowl XLV, Aaron Rodgers stood at the podium with the glistening silver Lombardi Trophy in his left hand, and a bright gold title belt draped over his right shoulder. This lasting image of Super Bowl XLV, a scene taken straight from the dreams of Packer fans, seemed far from realistic in the waning weeks of the 2010 NFL regular season. In week 14, Rodgers suffered a concussion as the Packers lost to the Detroit Lions. Rodgers sat out the Packers’ week 15 road game against the team with the NFL’s best record, the New England Patriots. The Packers, led by back-up quarterback Matt Flynn, played one of their best games of the year but lost to the Patriots, 31-27. From that point forward, every game for the Packers was do or die. In week 16, with Rodgers back behind center, the Packers pummeled the Giants at Lambeau Field, 45-17. The Packers entered halftime of their week 17 matchup against the Chicago Bears trailing 3-0. The Packers were 30 minutes away from missing the playoffs. But behind Rodgers and a solid performance from the defense, the Packers came back and won 10-3, clinching the NFC’s 6th seed. As it goes, the rest is history. The Packers overcame that halftime deficit in week 17 just like they overcame season-ending injuries to key players like running back Ryan Grant, tight end Jermichael Finley and linebacker Nick Barnett. The Packers overcame even more adversity and solidified their legacy as resilient champions as they defeated the Steelers in Super Bowl XLV. 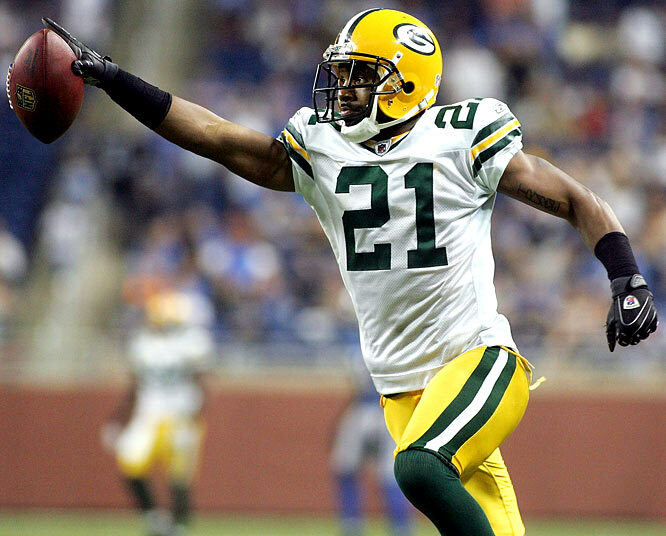 Veteran leaders Charles Woodson and Donald Driver both suffered injuries in the second quarter that knocked them out of the game. Cornerback Sam Shields missed a significant amount of the game with an ankle injury. “We’ve been a team that’s overcome adversity all year. Our head captain goes down, emotional in the locker room. Our number one receiver goes down, more emotions are going, flying in the locker room. But we find a way to bottle it up and exert it all out here on the field,” said Greg Jennings in a television interview after the game. The Packers were led by the steady-as-a-rock Rodgers, who completed 24 passes for 304 yards, 3 touchdowns and zero interceptions. 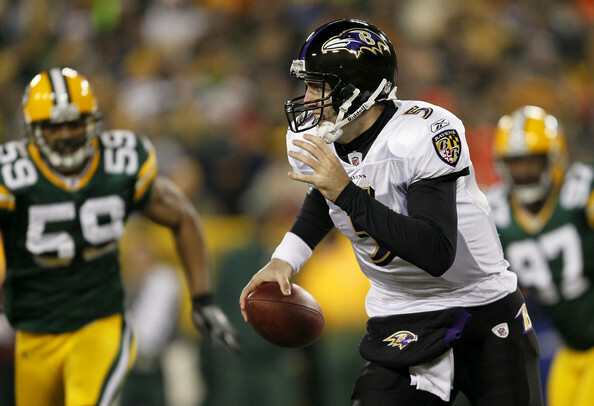 Rodgers was named the game’s Most Valuable Player, capping one of the greatest postseason performances in NFL history. In four playoff games, Rodgers threw for 1,094 yards, 9 touchdowns and only 2 interceptions. He also ran for 2 more touchdowns. “Aaron’s proved that he’s one of the best, if not the best, quarterback in this game today,” said Driver, a 12-year NFL veteran who won his first Super Bowl championship on Sunday. The Packers built a 21-3 lead with 2:24 left in second quarter thanks to Rodgers touchdown passes to Jordy Nelson and Jennings and a 37-yard interception return for a touchdown by Nick Collins. The Steelers closed the gap to 21-17 after an 8-yard Ben Roethlisberger-to-Hines Ward touchdown pass late in the second quarter and an 8-yard Rashard Mendenhall touchdown run with 10:19 left in the third quarter. Perhaps the key play in Super Bowl XLV happened early in the fourth quarter. The Steelers had the ball at the Green Bay 33 when Clay Matthews forced Mendenhall to fumble, and Desmond Bishop recovered for the Packers. On the ensuing drive, Rodgers hit Jennings for another touchdown, putting the Packers up 28-17 with 11:57 remaining in the game. The Steelers responded with a 25-yard touchdown pass from Roethlisberger to Mike Wallace and a successful two point conversion on a Roethlisberger to Antwan Randle-El option pitch to make the score 28-25 with 7:34 remaining. The Packers ate up 5 and half minutes of clock and got a 23 yard Mason Crosby field goal on their next drive to put them up 31-25 with 2:07 seconds left. Roethlisberger, who orchestrated a late game-winning drive in Super Bowl XLIII, had another chance to pull off a fourth quarter comeback on football’s biggest stage. However, there would not be an encore performance. Roethlisberger ended the game with three straight incompletions, including one on 4th and 5 from the Pittsburgh 33 yard line that was intended for Wallace. “I feel like I let the city of Pittsburgh down, the fans, my coaches and my teammates and it’s not a good feeling,” said Roethlisberger. As the ball hit the turf and the Packers gained possession, one thing was clear. The Lombardi Trophy was going home to Titletown. I wrote this story in Feb. 2011 for my Sports Journalism class with Len Shapiro.